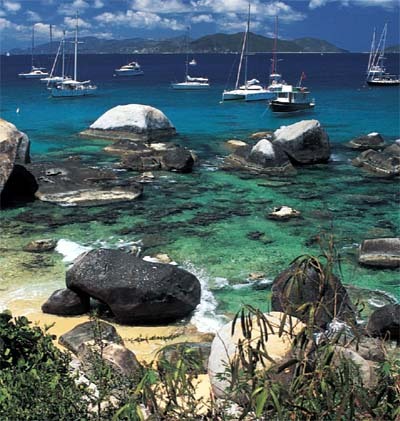 Back in 1971, I cruised into the British Virgin Islands and dropped anchor at Norman Island, just off the famous caves that inspired Robert Lewis Stevenson's Treasure Island. I never dreamed at the time, that over the next two decades, these islands would become a second home for me in the charter and dive industry. My initial foray into diving exploration at the nearby pinnacles known as The Indians, left me profoundly impressed with the diversity of marine life and radiant water. There was an unequaled serenity to this island chain of mostly uninhabited islets, cays, and spectacular beaches that was at once breathtaking and tranquil. Sort of a mixed high that left you exhausted from the singular pleasure of doing nothing but soaking in the scenery of a time long past, while at the same time, chafing to see what splendors lurked just beyond the next harbor.